In hindsight, I probably should have read Jaws and written a review of it in honor of Shark Week. But instead, I’m drinking Yellow Tail and thinking about how much reading makes my life worth living. Plus, there’s always Shark Week next year. So I have this job. I would define it as joyless, soul sucking, and just downright depressing. During work I think about one of two things: 1. How I wish I were reading or 2. How I plan to hang myself above the coffee bar. I try to focus on the wishing I was reading part. 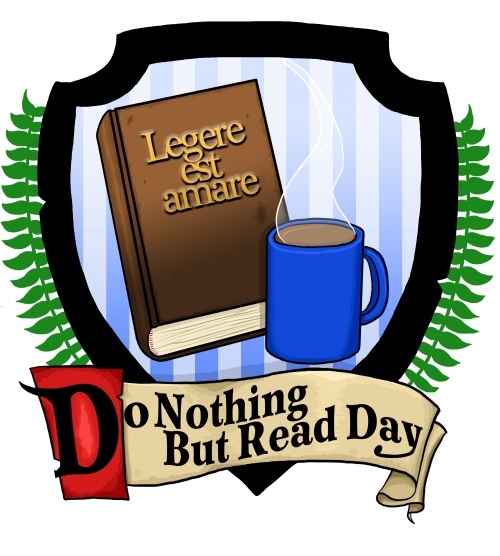 Thankfully, tomorrow is Saturday (which means no work) but also it’s DO NOTHING BUT READ DAY (or DNBRD for short)! The best day of the year. The day I don’t have to think about the job that makes me want to drink Draino or my mountains of debt or the spiders waiting to avenge the death of their fallen comrades. Instead, I have an excuse to just read. ALL FRICKIN’ DAY! So I was thinking to myself, why does it hurt so much to pull a wine cork out with your teeth? Is it friction? Is it that I buy cheap wine and that it’s not really made of cork? Is it the fact that I’m supposed to be talking about reading as escapism and how awesome DNBRD is going to be tomorrow!?! Is it the fact that this post is probably riddled with spelling errors? In preparation for LeakyCon 2011 (have we mentioned yet how it’s almost LeakyCon and all the Bibliomantics will be in attendance as hipster wizards? Oh wait, we have)… Anyway, in preparation for LeakyCon I have been re-reading one Harry Potter book a month since December. I have also been doing other things in preparation for LeakyCon, such as reading all of Cassandra Clare’s novels, reading the Hunger Games series, watching “Avatar: the Last Airbender”, not watching “Supernatural”, prepping my costume, printing Bibliomantics business cards, and getting a Dark Mark tattoo. Thankfully this post will merely be about re-reading Harry Potter and a little bit of ranting on how much I love Snape and Lily. SPOILER ALERT: If you haven’t finished Harry Potter yet, it turns out Harry Potter was a ghost the whole time. 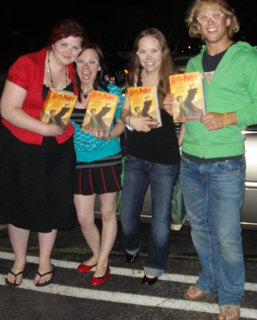 I originally started Harry Potter in Middle School on a recommendation from our librarian and finished the series when it came out in 2007 (see ridiculous picture of the Bibliomantics- from left Kelly, myself, Stephanie, and our friend David who we shall pretend is Cassie-wa). We went to the midnight release party for The Deathly Hallows (along with the prior two releases) and were pretty much way too old to be there. I read Deathly Hallows at work the next day with my co-worker Super Tom who was a much faster reader and very vocal the whole time- I was perpetually worried that Kreacher was going to die! 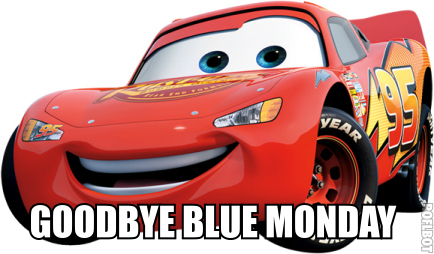 It was a very emotional finale. My happiness at Dobby’s death pretty much overshadowed the death of everyone else with the exception of Fred. But I never liked Tonks much anyway. I love reading. This fact is apparent to anyone who knows me in real life (you have inevitably interrupted me in the middle of a book) or through this blog, because it’s about books and you’re reading this post right now. Obviously. Unless of course you stopped after the first sentence, in which case you wouldn’t even know that I’m talking about you right now and this diversion is inconsequential. Regardless of which category you are in, you probably know by now that me and my fellow Bibliomantics love (emphasis on the italics) reading. We spend our days stuck at work, class, driving, showering, being forced to watch James Cameron movies, all the while wishing we were reading instead. One of the reasons I love to read, which I will delve into in this post, is the act of reading itself, and the differing experiences that come with it. I will try my best not to make the following read like a poorly pieced together college English paper, but I’m not making any promises! Literature is amazing because it can be read in many varying ways either by the same reader, or by several different readers. It can have different meanings for a person at various points in their life (i.e. a person reading a book later on in life may have new connections to the source material as they gain new experiences/learn new things); or, two people reading they same material may view it in decidedly distinct ways. In 1992 I was raised on a steady diet of “Are You Afraid of the Dark?” and Goosebumps. 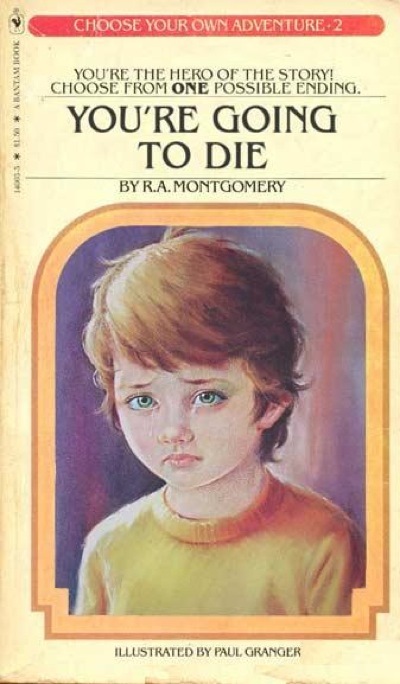 Add this to my second favorite story as a child, the original Little Mermaid (yes, Mom, Katie the Kitten was my first literary love) in which the Little Mermaid decides not to commit a double homicide and kills herself, and you have a problem. I loved all things dark and morbid. I hoped for unhappy twist endings. I much preferred the mermaid who decides to become sea foam over the mermaid who has a talking fish for a best friend. This should have been the first indication that I was going to be a strange child with a fucked up sense of humour. I am happy to say that I am now a strange adult with a fucked up sense of humour. I still love unhappy twist endings and all things dark and morbid. And I can credit a good deal of this to the man who led me on the path to getting a degree in English, R.L. Stine. My obsession with the printed word started on the school bus, during which time I would ignore the nonsensical jabbering of my school chums (yes, I was also a well-to-do British boy) and read Goosebumps. The opening of The Girl Who Cried Monster horrified me, and I couldn’t leave my toes unattended for weeks lest they get eaten by a slithering toe chomping monster. The Haunted Mask made me worry about curses placed on inanimate objects. Night of the Living Dummy made me fear ventriloquism (but who doesn’t). 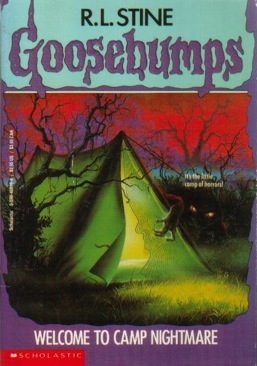 Reading on the bus led to joining a Goosebumps club, our first book being The Shocker on Shock Street, in which an amusement park based on horror movies turns out to be real. Which led right back to solitary reading, because The Scarecrow Walks at Midnight just isn’t the same when you’re listening to some kid who has problems reading out loud ruin all the ambiance of the narrative.